Experience the tides and tales. RICH AND VARIED LANDSCAPES & EXPERIENCES DRAW YOU IN. Follow the lush Annapolis River Basin from Digby to Historic Annapolis Royal and the Valley beyond, to the spectacular Bay of Fundy on a route that showcases world Annapolis Royal famous scallops, historic forts, and secluded fishing wharves. Digby is true to its roots in seafaring heritage, home to the world’s largest inshore scallop fleet and port for the daily ferry to New Brunswick. No trip to Digby is complete without trying its succulent scallops, available in a variety of recipes and styles throughout town and at the majestic Digby Pines Golf Resort and Spa. Before embarking on your cycling adventure to the Valley, consider visiting Brier Island along the picturesque Digby Neck, which offers some of the world’s most spectacular whale watching tours, ecoexploration with Gael Tours , or a hike to Balancing Rock. Heading into the Annapolis Valley, make your way to the artisan village of Bear River, where several buildings have been constructed on stilts to accommodate the rising tides. Explore the many studios, craft shops, and galleries featuring Nova Scotian woodwork, pottery, quilts, fabric arts, and paintings, including the award-winning Flight of Fancy Shop. Stop in the nearby vineyards where you can sample local vintages. Get your adrenaline pumping at Upper Clements Park, an amusement park featuring a wooden roller coaster, a water flume ride, zip lines, and an aerial adventure course.The picturesque town of Annapolis Royal has centuries of stories to tell, home to thousands of years of Mi’kmaq Heritage, 400 years and French, Acadian Scottish and English history, and one of Nova Scotia’s significant Black Loyalist settlements. This history is on full display at Fort Anne, a National Historic Site. At night, participate in a Candlelight Graveyard Tour of the Garrison Cemetery, the oldest English graveyard in Canada. The town itself features some of Canada’s oldest wooden buildings along a charming streetscape that has been designated a National Historic District. 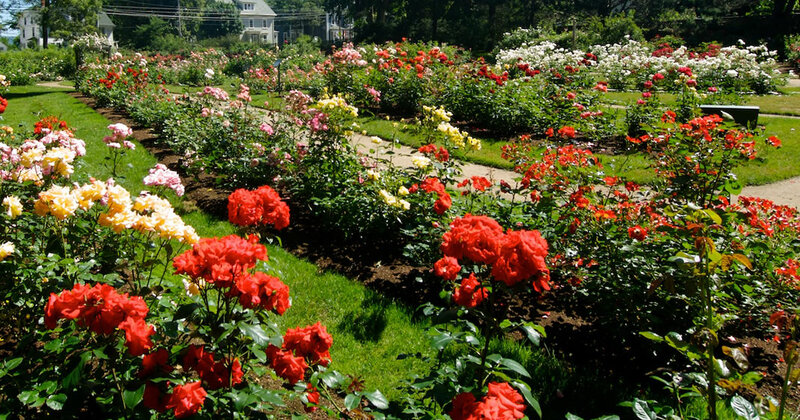 Be sure to stop in at the tranquil Annapolis Royal Historic Gardens, which was named the Top Garden in Canada in 2015. Side trips abound! If you’re craving more history, ride one of North America’s oldest settlement roads from Annapolis Royal to the Port Royal National Historic Site built by French explorers in 1605. On your way back, stop in at North America’s only tidal generating power plant to learn how the tides have been harnessed to generate electricity. If you’re craving a wilderness adventure, journey into the heart of the UNESCO Southwest Nova Biosphere and cycle to Kejimkujik National Park and Historic Site of Canada. “Keji’s” lush forests, stellar stargazing skies, crystal clear lakes, and meandering rivers are a place where you can camp and escape the everyday hustle and bustle. Just outside Keji, local food and drink is featured at the Wilder Restaurant and General Store. The routes east of Annapolis Royal will take you through the lush Annapolis River Valley, which is framed by the sun-drenched slopes of the North and South Mountains. The views and vistas within the valley are boundless. You can choose to take in the scenery along the flat valley floor alongside the meandering Annapolis River, or venture up the North Mountain for dramatic views of the valley to the south and the Bay of Fundy to the north. Along the river, you’ll wind your way through Bridgetown and Lawrencetown before arriving in Middleton. Be sure to rest along the riverbank in Belleisle, or stop at Hebb’s Landing for a picturesque picnic along the river. Along the Bay of Fundy, you’ll encounter lighthouses, working lobster fishing wharves, and picnic areas overlooking the Bay. Your chances of seeing seals bobbing around rocky outcrops in the bay are also good! Be sure to stop in the Art Shack in Margaretsville .